It’s hard enough to keep track of your kids’ after-school activities -- let alone to remember their dentist appointments. 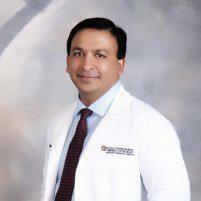 But Dr. Akmal Ahmed at Healthy Smiles of Orlando offers you a streamlined solution for your scheduling stresses. Located in Lake Mary, Florida, Dr. Ahmed and his team provide comprehensive oral care for your children six months and older, as well as you and your spouse. Call today or schedule an appointment online. Family dentistry addresses oral health care at every stage of life. Similar to general dentistry, family dentistry manages your oral hygiene and the overall health of your teeth. However, family dentistry focuses on the oral care needs of patients 6-months-old and older. What are common family dentistry procedures? In addition to these services, Dr. Ahmed provides a range of cosmetic dentistry procedures to help with aesthetic imperfections, as well as emergency dentistry in case you or your child might need dental care right away. If this is the case, Dr. Ahmed makes sure to see you or your loved one the same day you call. Not only do family dentists understand how children’s teeth change with age, but they’re also aware your child might be afraid of visiting the dentist. Dr. Ahmed adopts a gentle approach, so your children have a pleasant experience. Having a positive association with dental checkups can lead to a happier experience for everyone, encouraging good oral hygiene habits for life. Besides, the option of creating a long-term relationship with the dentist makes it easier for children to view their annual checkup as a regular event. You might even be able to schedule the whole family in one day, resulting in fewer office visits. Whether your child is just getting their first tooth or your elderly father is struggling with missing teeth, Dr. Ahmed and his staff can help. Healthy Smiles of Orlando provides all the dental care services you could need for the whole family in one office. Call today or schedule an appointment online.